Team formation for travel teams is based upon birth year. US Youth Soccer and the Madison Youth Soccer Club set age groups to help ensure fair and competitive play in youth soccer. 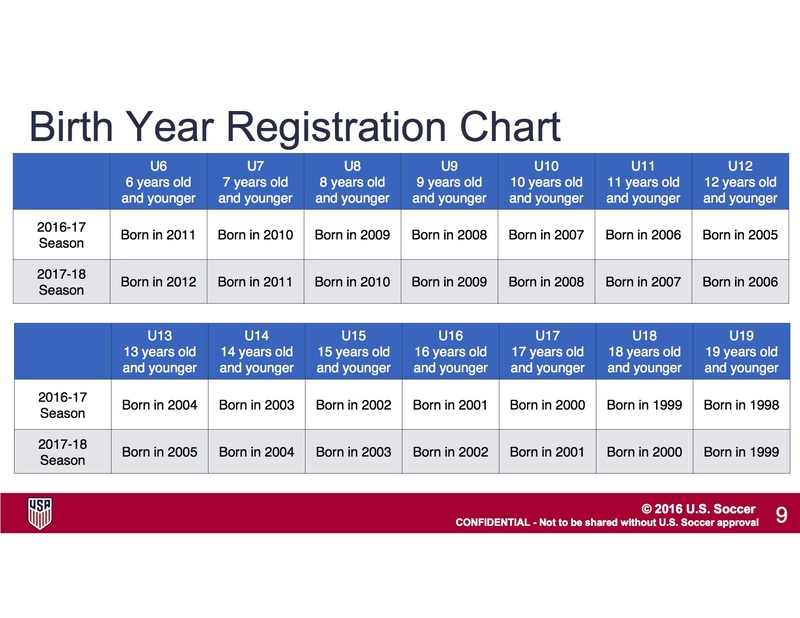 Use the chart below to determine your child's age group.